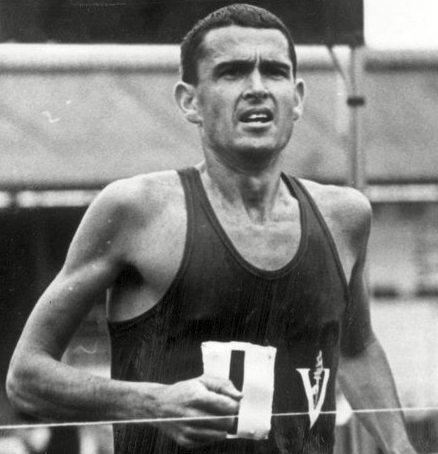 Ron Clarke, one of the all-time greats of long distance running has died, far too early. Setting close to a score of world records, and taking huge chunks off the best times for the classic 5000 and 10,000 metres events in the 1960s, the Australian more than justifies his central place in a pantheon of distance heroes stretching from Johannes Kohlemaïnen and Paavo Nurmi at the start of the 20th century, through to his own personal favourite, Emil Zátopek and himself, and successors, Haile Gebrselassie and Kenenisa Bekele, all of whom revised notions of how their events could be run, and vastly improved. Ron first came to the attention of a wider athletics world outside his Australian home when he set a world junior mile best, of 4min 06.5sec in 1955. National service may have affected his chances of selection for the Olympic Games in his home city of Melbourne the following year; but he was chosen to light the Olympic cauldron, an accolade which, despite the magnesium from the torch burning his arm and tee-shirt, he dismissed in later years as, “an irrelevance, same as the whole opening ceremony; it’s got nothing to do with the Olympics”. I had met Ron several times in passing when he was living in the UK in the late 1980s/90s, but in early 2000, I spent a couple of days as his guest at the Couran Cove Resort that he had developed and was managing back then, on Australia’s Gold Coast. The whole time was an unremitting pleasure. His enthusiasm for life, for his sport, his work, and his firm views on the role that athletics and athletes should play in society were refreshingly direct and forcefully argued. He was a real gent into the bargain, and full of fun. And when you got him talking about his hero, Zátopek, there was no stopping him. The Czech had no shortage of advocates as an athlete and personality, but for Clarke, Zata (as he called him) was little short of a god. Clarke had first heard of Zátopek from Les Perry, who had finished sixth behind the Czech’s victory in the 5000 metres in Helsinki 1952. It was Perry incidentally who got Ron training again after a four-year hiatus to his career, following his junior days, during which he concentrated on his studies and early career in accountancy. But once he got into his stride, he was inexorable. From 1962 to 1970, Ron set either 17 or 19 world records (depending on who’s counting), and won Olympic bronze, and four Commonwealth silvers, at a time when the Commonwealth Games was on a par with the European Championship, deferring only in status to the Olympic Games.  To my generation of club runners, coming of age in the early/mid 1960s, the Aussies, as in other major sports, like swimming and tennis, were top of the tree back then – guys like John Landy, Olympic 1500m bronze in 1956, Herb Elliott, Olympic 1500m champ and WR holder in 1960, Alby Thomas, world 2M record holder, Dave Stephens, world 6M record holder, Dave Power, Merv Lincoln were as familiar to us as our local heroes, such as Basil Heatley (Olympic marathon silver in 1964) and Roy Fowler, (world cross country champion). When Ron re-appeared on the scene, the former junior miler turned long distance galloper seemed like all those predecessors rolled into one. But what was particularly attractive to those of us who admire courage above tactics was his unremitting belief that he owed it to himself and to his rivals to be a front-runner. Accordingly, much is made of Ron’s ‘failure’ to win Olympic gold, testimony on one hand to an extensive racing programme, while rivals peaked for the ultimate challenge, and on the other hand, to the decision to hold the 1968 Games in high altitude Mexico City, where he was beaten by one or two men who neither he nor we had ever heard of; and suffered so badly that the medic giving him oxygen in the infamous picture taken on the infield after the 10,000 metres is in tears, thinking that Ron was going to die. The heart defect that he developed in later years, such that he was barely able to keep up in a 3k jog with his elder brother, an Aussie Rules footballer, was, he felt a direct result of Mexico. One doesn’t think of Ron as a marathon runner, but the 1960s was still a time when there was little competition for Olympic places at that distance, and after his bronze in the 10,000 metres in Tokyo, Ron decided to run the marathon. He led for a long time, alongside Irishman Jim Hogan, until Abebe joined them until nearly halfway, and ran away from them. Hogan dropped out, Ron finished ninth. When we met in 2000, I was impressed by his assessment of marathon progress. The men’s record had just crept under 2.06. Ron said, “The marathon’s got a long way to go yet. I think the marathon can improve a lot in pace, it’s still relatively slow compared with the 10,000 metres for example, at 26.30. You should be able to run a marathon much quicker than what they’re running right now….. 2.01, 2.02 is fairly realistic”. This was astute reckoning. Ron, remember was talking in 2000, all of 15 years ago, when the record was still 2.05.42 (Khalid Khannouchi, Chicago, 1999). By 2014, it had come down to 2.02.57, by Dennis Kimetto, in Berlin. Dying at 78, the same age as Zátopek is just one of several intersections that Clarke’s career had with that of his illustrious predecessor. A quirk of history for two men who made history. I had gone to Couran Cove to solicit Ron’s opinion/views/stories of Zátopek for some research (long-term, as it turned out). It was enormously gratifying to hear a champion be so complimentary, endearing and, dare I say, so loving of an historical rival. And it said much about Ron himself. Ron went on to talk about Emil inviting him to run in Prague in 1966, and egging him on trackside during a 3000 metres race when the locals were ‘sitting’ on Ron. “He was barracking for me, because he hated ‘sitters’”. Ron then went on to relate a tale of shopping in central Prague during rush-hour when, apprehended for parking illegally, policemen actually vied to park Emil’s car for him. “My definition of fame,” said Ron, “is when a policeman will go and park the car for you while you shop in the middle of a busy weekday lunchtime peak period. That is fame…. And Emil Zátopek was someone special, and that was the sort of personality he was. He was fantastic”. It was at the end of that trip that Emil discreetly slipped a small package into Ron’s hand when he left Prague, telling him not to open it until he got to London. Afraid it might be contraband, or a clandestine message from Communist Prague, Ron decided to open the package before the plane landed. As you doubtless know, it was Zátopek’s Olympic gold medal for the 10,000 metres in Helsinki 1952. We walked to the Couran Cove boardroom, where the medal was in pride of place in a glass cabinet on the wall, along with the note that ‘Zata’ had written, ‘Not out of friendship, but because you deserve it’. Ron wrote or collaborated on seven books, and when he retired from Couran Cove, first ran the nearby Runaway Bay stadium, subsequently becoming mayor of the Gold Coast for two terms, during which he succeeded in introducing several popular local initiatives. During that time, he was also instrumental in helping bring the Commonwealth Games to his native Melbourne in 2006. He died prematurely of heart and kidney failure. But his legacy is like that of his illustrious predecessor. He revised notions of what was possible in long-distance running, and he did it by throwing down a challenge to his pursuers and few rivals. It was honest, and today, in an age that seems anything but, that is what we will remember him for.